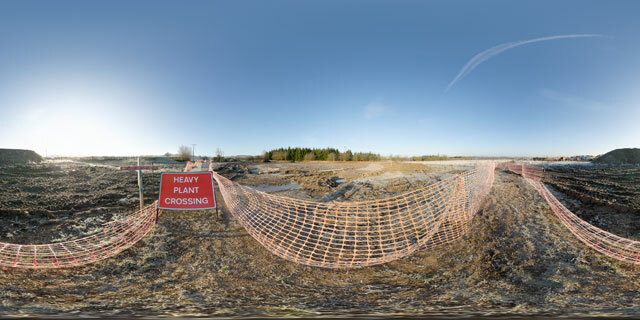 360° VR panorama by a ‘Heavy Plant Crossing’ sign placed in the middle of the footpath at the southern end of the Farndon Fields Development in Market Harborough, Leicestershire, England. The area is currently being developed, with a number of new homes being built. Nearby in the muddy field can be seen a small section of pathway, still under construction. 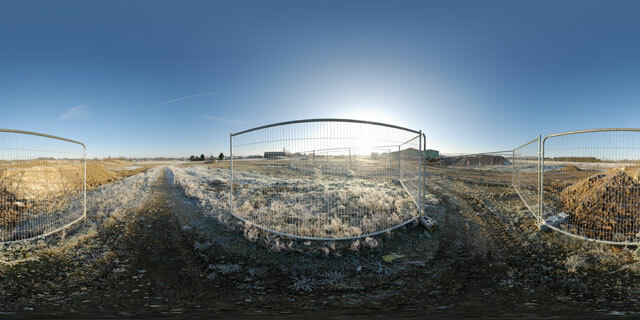 360° VR panorama of the footpath across Farndon Fields on a frosty morning, in Market Harborough, Leicestershire, England. The area is currently under development, with a number of new homes being built. The footpath has temporary metal fencing around it where it meets a track that goes across the fields. 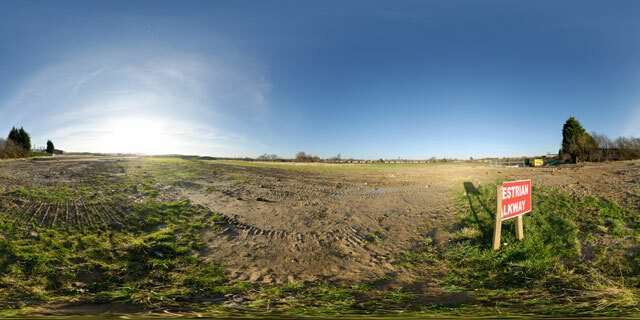 360° VR panorama of the footpath across Farndon Fields, in Market Harborough, Leicestershire, England. The area is currently under development, with a number of new homes being built. To the right is a small ditch, presumably cut to help drainage of the clay-heavy soil. The ground in this area is rather muddy due to the heavy machinery used in the construction work. Not far away can be seen a pile of small trees and boxes filled with shrubs, waiting to be planted as part of the development. 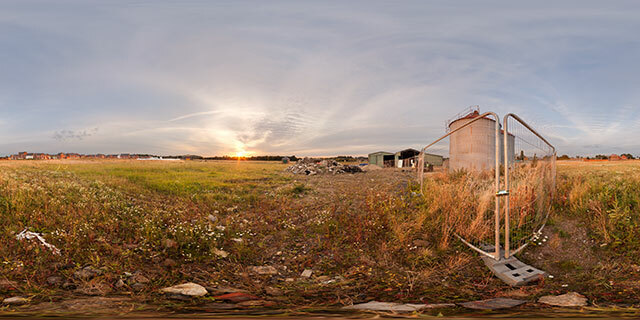 360° VR panorama of kerbstones, tiles, and various other building supplies and equipment, at the Farndon Fields Development in Market Harborough, Leicestershire, UK. Although development is still ongoing as at January 2012, the first few houses were completed, and some occupied, in 2011. 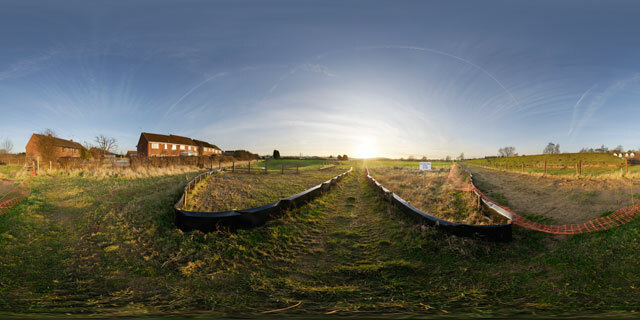 360° VR panorama by a snapped in half ‘Pedestrian Walkway’ sign beside the footpath across Farndon Fields in Market Harborough, Leicestershire, UK. Farndon Fields is currently under development, with a number of houses being built. As a result of heavy machinery crossing the fields, the footpath blends into the muddy field at various points and can be difficult to discern. 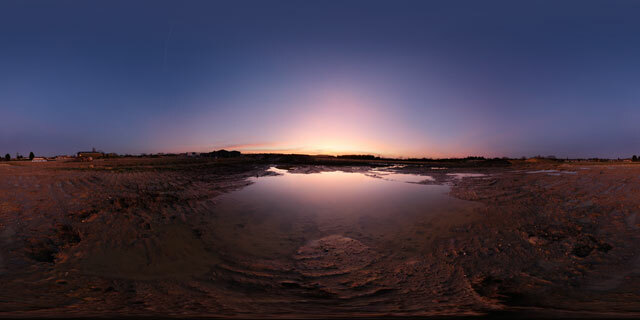 360° VR panorama of the afterglow of the sun at twilight being reflected in a large puddle at Fardon Fields, in Market Harborough, England. 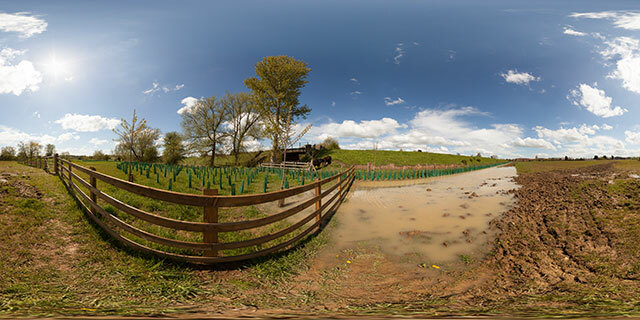 The fields are currently under development, hence the large areas of mud. 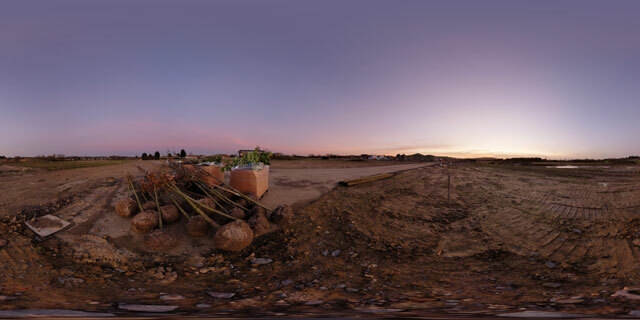 360° VR panorama of small trees and shrubs ready to be planted at the Farndon Fields development site, in Market Harborough, Leicestershire, England. The trees have their root balls wrapped in cloth, while smaller shrubs are in large cardboard boxes. Farndon Fields in currently being developed, with a number of homes being built on the site. Prior to this the fields had been left fallow for a few years. 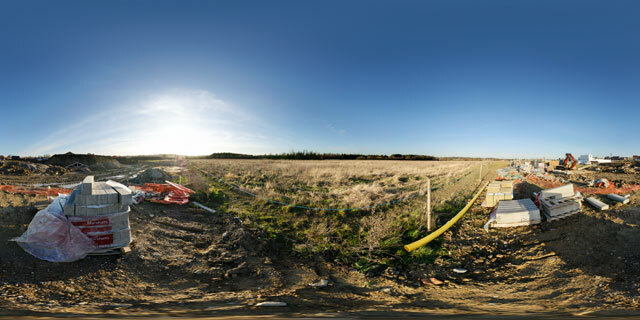 360° VR panorama of the entrance at the north-east corner of Farndon Fields, just off Rugby Close. Running around the edge of the field is an ecology fence, about 1 ft high and constructed of black plastic sheeting. 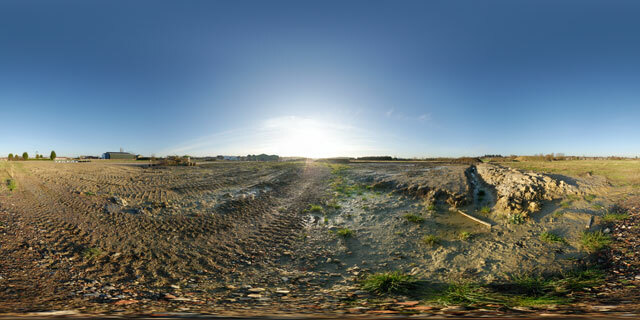 Farndon Fields is currently under development, nearby you can see a newly created pond with a fence round it. The majority of the grass growing in the field has also been planted as part of the development, replacing the mixture of wild plants that grew there previously.